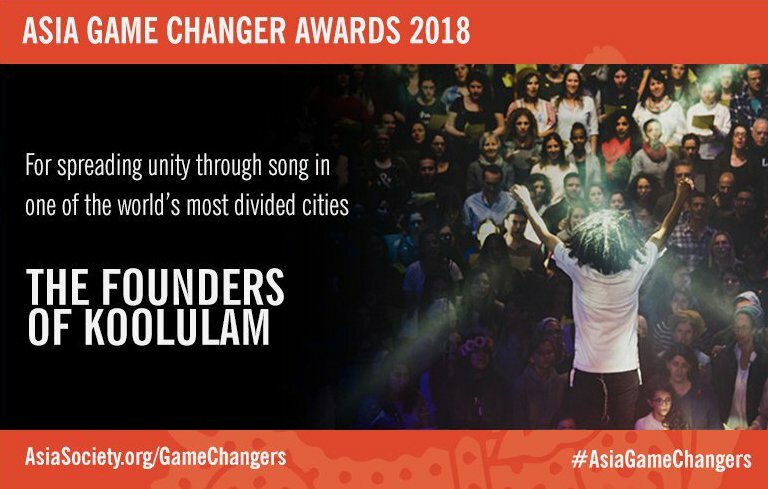 JERUSALEM and NEW YORK CITY: On October 9, 2018, the Asia Society—founded in 1956 by John D. Rockefeller III—honored the social music initiative Koolulam with its coveted “Game Changer Award,” in recognition of the group’s collaboration with Bayt ar-Rahmah, Jerusalem.com and the Tower of David Museum, which allowed its site in Jerusalem’s old city to be used free of charge in the production of an historic music video. 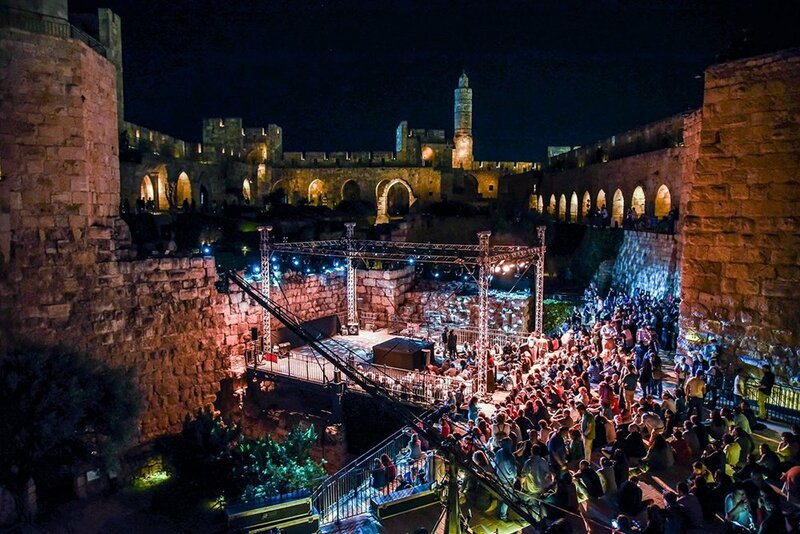 As stated by the Asia Society: “The hundreds who took part in the Koolulam musical event on June 14 at Jerusalem’s Tower of David came from all walks of Israeli society. There were people from all over the country, young and old, alone and with families; Christian, Jewish, and Muslim. How it worked was simple: Koolulam’s founders selected a well-known song — in this case Bob Marley’s “One Love” — and prepared the lyrics in Hebrew, Arabic, and English. They organized the participants by the pitch of their voice and began to rehearse. 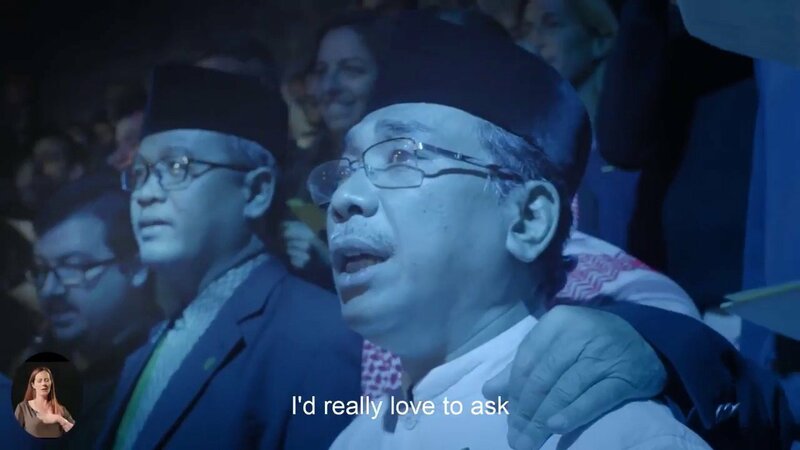 When the Koolulam performance began with the harmony of hundreds of voices, it provided more than just an evening’s entertainment: Any and all differences between the participants seemed to melt away. An audience of individuals had, for a moment, achieved unity — in one of the world’s most divided societies. 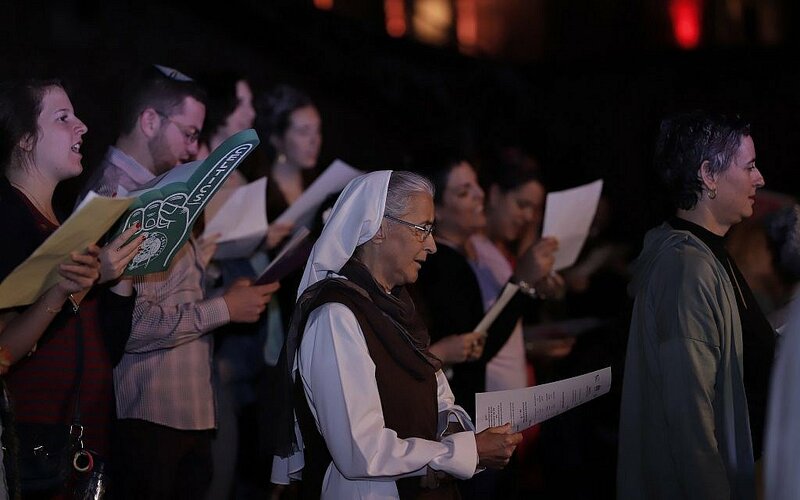 Ignoring violent rhetoric, over 800 Israelis and Palestinians—Jews, Muslims and Christians—embraced the NU General Secretary’s call to “choose compassion,” by attending the event held in Mr. Staquf’s honor. The Jerusalem visit was part of a comprehensive, long term and sustained effort by the spiritual leadership of the world’s largest Muslim organization to build a global, multi-faith coalition to block the political weaponization of Islam by state and non-state actors. During his trip to Jerusalem Mr. Staquf spoke at the American Jewish Committee’s Global Forum and also met senior Israeli officials including Prime Minister Benjamin Netanyahu and President Reuven Rivlin. Palestinian leader Mohammed Dajani, founder of the Wasatia Movement, met with Mr. Staquf in Jerusalem and defended his visit as “a step towards peace,” later signing the Nusantara Statement at the Second Global Unity Forum held on October 25 – 26, 2018 in Yogyakarta, Indonesia. “Rahmah (compassion) is essential if we are to solve the multi-dimensional crisis plaguing the Muslim world and feeding extremism of all kinds,” observed KH. Achmad Nadhif Mudjib, who accompanied Mr. Staquf to Jerusalem and heads the training of cadres for Gerakan Pemuda Ansor, the NU’s 5-million-member young adults movement.